You must make reservations at least 5 minutes in advance of the time at Chambers Walk Cafe & Catering. Parking is available behind our building and in addition there are numerous parking areas one block north or south. Chambers Walk has been catering fine events for over 25 years. The full service catering company accommodates both corporate and social events, whether elegant weddings or business lunches. Professional catering directors help with all aspects of your event, from site selection to incredible menu, from service staff needs to rental equipment and tenting. Chambers Walk is available for your next special event. Not just a corner of the room, but the entire restaurant at your service. 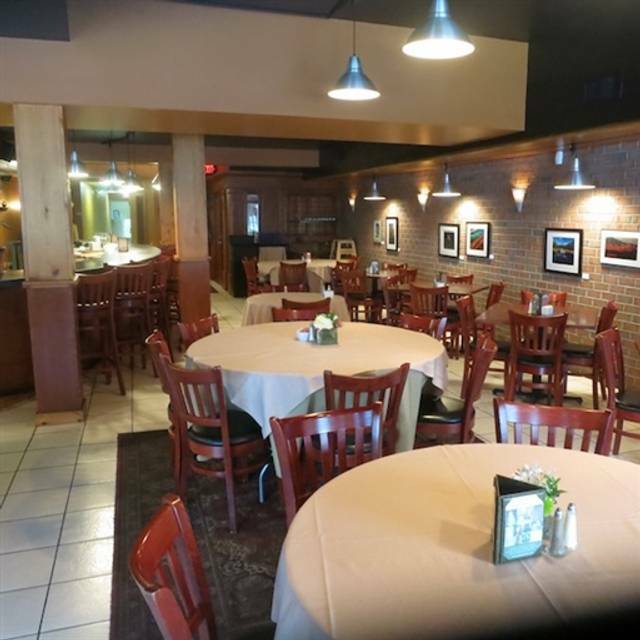 Perfect for rehearsal dinners, birthday celebrations and small intimate weddings, and a great space for corporate events including audio/visual needs. In the heart of Lawrenceville’s "village", this BYOB serves American Bistro fare utilizing quality ingredients, prepared simply. The seasonal menu uses local and organic whenever possible and gluten-free or child-friendly requests are welcomed. The open-kitchen design is entertaining. Express service at lunchtime helps accommodate busy schedules, while in the evening attentive table service makes for a relaxing and enjoyable meal. Lunch reservations are only accepted for parties of 6 or more, please contact us for more information. Cooking classes are presented on Monday evenings, and the restaurant is available for private events. We will be closed for Lunch on Sunday 4/14/19. Thank you for your patronage! We haven't been to Chambers Walk in a while and had a great meal. We will be back more often. First class food and service; the pork loin with the Brussel sprouts were outstanding! Yes--but anticipate slow service at dinner. The food was delicious and plenty but we had to chase down someone to get to-go boxes, dessert, and our check. I don't know whether they were short-staffed, but we were somewhat slow in getting our order taken and then getting our food. The service was pleasant and professional when it arrived. I have had lunch here a couple of times and the service is faster--but you order yourself at the door on the way in. My second visit here and it was a great experience. The staff was very attentive and the food very good. I had the salmon which was great and my husband’s steak was very good. The dessert was a bit pricy. Overall, a great dinner. Great food and great service! I loved their Chicken marsala! I normally love Chambers Walk. Have gone there many, many times and totally enjoyed everything about the restaurant. Valentine's Day was a little less than what I have come to expect in terms of food price and quality. Not totally unexpected because of V-Day but so not the usual. Had the most wonderful meal with my family for my daughter’s 19th Birthday - It’s going to become our traditional spot moving forward since she attends Rider University!! The food was amazing - perfectly cooked , great portions and quiet and relaxing for adult conversation !! While the menu is limited, we all found things we loved. Dinners do not include a salad, but we always order one for the two of us to share. They always do a nice job of splitting it in the kitchen for us. The best part about this restaurant is that its BYOB which makes it a value. A bit expensive. Will try the Bistro menu next time. Despite a very large party of 25 (obviously having a good time), my meal was outstanding. The food and the service were both up to the highest standards that I know so well. We have been for dinner for many years and continues to be a great experience. This was a New Years celebration with a party of 10 and the service was fantastic as always. Highly recommend. Mario never disappoints. Was there New Years Eve and it could not have been better. Loved this restaurant. Tried it based on Open Table's recommendation. No regrets. The chef is very flexible with making entrees into first courses. Great service! Will definitely be going back. They change their menu seasonally and looking forward to the fall menu. Always a gem. Always a good evening with friends and conversation. Lamb, pork, chicken, swordfish--whatever they grill is great! However, I have also enjoyed many of the selections offered on the bistro menu during the past months. The best food in Lawrenceville, maintaining its friendly and professional service. The menu changes seasonally but is reliably inventive. Truly, our neighborhood gem! Fantastic food and nice location. Only negatives are the noise level as the sound from one area in the restaurant seems to echo throughout and wait time between courses were a little long but allowed time for conversation and wine. Would recommend as food was cooked to perfection. Always delicious food, with a very varied menu, service was terrific. We enjoyed the atmosphere and the relaxing pace. Went to Chambers Walk for our 21st anniversary dinner. Food was excellent. Everyone was so pleasant and attentive. I would highly recommend a visit. A great experience!!! Everything was great - dining room, service and food! Will definitely come back again! As usual Chambers Walk did not disappoint from the the service to the meal (pork chop) was five stars! The lamb chops were outstanding; one of several great meals I’ve had here from their summer menu. Overall, I love the combination of the very high standards of food and service in this wonderful bistro setting. Food and service always outstanding! Love the bistro menu during the week for a lighter meal. Burger and fries are delicious. The new summer menu was great. Food is always fresh cooked to order. Staff is always welcoming. Can’t say enough. Mother’s Day Brunch. What a great selection and made to perfection. Great group of people serving and taking care of us. Highly recommend!! I've never had a bad experience, here. The food is always very good; I know exactly what to expect. A guaranteed satisfying dining experience! Excellent food, service, atmosphere. 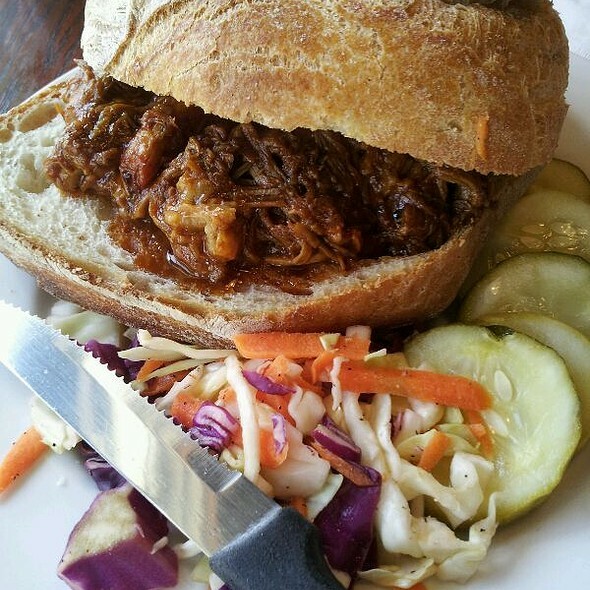 Consistently great food, congenial service, and it's in our beautiful neighborhood. Refused to serve the complete menu on a Saturday night. Apparently an $18 burger doesn’t have enough margin in it for them even though they don’t note the limited menu online. Walked out. Dining on a couple of the bistro courses, the Cobb salad and the pappardelle Bolognese, I thought they were very well prepared. This was just another excellent combination of choices from the current, winter menu. With the usual outstanding service, these were perfect for a later evening meal! The servers are phenomenal, especially Bogdan, and the food is exceptionally good, too. Haven't been there for a few years. Shame on us! Overall food and service was very good. We had a pleasurable evening. My Mim and I had a wonderful meal at Chamber’s Walk and will be back the next time we go out! Staff was superb as well as the food. Chambers Walk is quiet and unhurried. The menu selection is good and the food is good. Upon entering, however, I could smell industrial cleaning supplies which was very unappetizing. We were there on a Saturday night and it was less than half full. We arrived at 6 and left at 9. By 9:00 they were taking the tablecloths off the tables and cleaning up the restaurant. That's pretty early for a Saturday evening. The opener of bread left something to be desired as they were cold dinner rolls (think sports banquet type). Later we saw some delicious looking bread (sourdough?) being served instead. We were thrilled with the two appetizer specials; one being a roasted portabella with roasted red peppers and spinach, and the other grilled asparagus with buratta, spinach and crostini. Entrees were also amazing ( grilled pork chop and an organic salmon). We split the gluten free apple crisp with a scoop of vanilla ice cream. The crisp was barely warmed with made it a disappointment. Overall the food and service were very good. They used to have a guy playing a quiet guitar in the background during dinner which was always a nice touch.